Electric violins, keyboards, drums and many others have begun to take over the music scene for a lot of budding musicians. Electronic instruments, defined as instruments that generate their sound from a wholly electronic source, as opposed to ones that are traditionally carved, built and strung, are becoming favorites for many reasons, most notably their ability to create such unique sounds and pieces of music. But when did the electronic instrument craze begin? Their history may actually surprise you. Read on to learn more about their rise to popularity. The late 1800’s is when some of the first electronic musical concepts were created. Initially, the concept of the possibilities of electronic instruments was presented in “Sketch of a New Aesthetic of Music” by Ferruccio Busoni in 1907, and the piece written much earlier by Harmann von Helmholtz titled “On the Sensations of Tone,” in 1863. These two publications helped people understand more of the physical aspects of sound, and have contributed to the way that electronic instruments are designed to produce their sounds today. Many electronic instruments were fixed to the tempered piano keyboard design standard at the beginning of production. However, this was such a limited view that would have doomed the electrical instrument to a very short-lived life. Fortunately, the concept broke free with the creation of the Telharmonium by Thadeus Cahill in 1897, and the spharaphon by Jorg Mager in the 1920’s, and emerged again in the 1960’s with the creation of the electronic music studio. The ability to manipulate both instruments’ and a persons’ voices provided a key bridging point for the idea that the instrument itself could be modified in this way and unlocked a lot of future potentials. It also paved the way for what could be considered error-free composition. Music generated in this manner was viewed by some as purer and could be replicated in a brand-new way that met much opposition from traditional musicians because musical concepts until this time were very interconnected with the unique abilities of each person and the unique voices of each instrument. Digital software that could manipulate music on computers led to a brand new set of musicians, which led to the fusion of the software and the instrument, allowing for advanced user interfaces to control every aspect of music that an instrument could create. Thus, you have the modern electronic instrument that builds on all of the abilities of a traditionally created instrument by being able to replicate its sound, but with the addition of purer, cleaner music for learning and listening purposes alike. The benefits of electronic instruments are numerous, with very few disadvantages that aren’t able to be overcome. 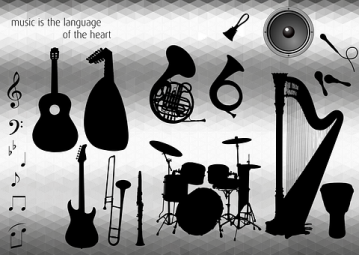 They provide a platform that allows for a clearer and better understanding of music, which provides new levels of communication and connection among musicians and listeners. 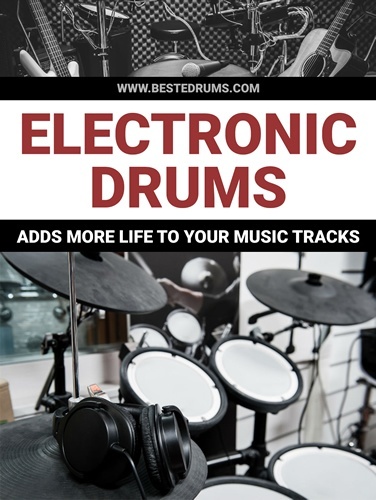 For those interested in learning more about electronic instruments and perhaps even want to consider purchasing one, our experts here at Best E-Drums have compiled helpful buying guides for electronic drums and other electronic music related items. Our guides for buying and learning to play electronic instruments are incredibly popular, as they allow for even the newest of musicians the ability to create and rapidly progress in learning about the world of music. Electronic instruments are one of the biggest technological feats in the history of music creation, and they continue to improve as electronics and creativity continue to fuse seamlessly.